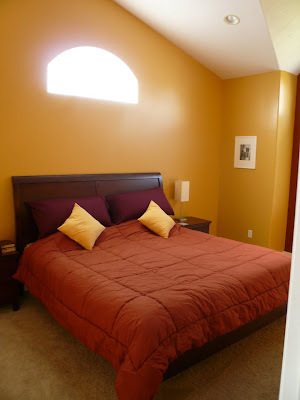 So I know since Shad and I don't have kids yet, it seems kind of ridiculous to pick our master bedroom for an overhaul (didn't Shad just paint that builder white room orange and golden yellow a few short months ago?). 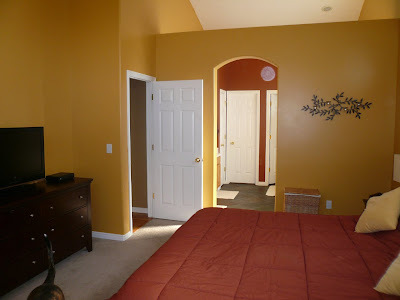 We have an entire house to ourselves to escape to from the outside world but the long and short of it is that my once daring move to paint the walls orange and yellow turned out to be a huge mistake that I loathed everytime I entered our room. And I have to sleep in that room every night so it's kind of a big deal. With the method to my madness justified lets move on to a description. Okay so I took interior design in high school from Dotty and I'll be the first one to admit the only thing I learned in that class was to not leave harsh corners and I can guarantee you, there are almost no harsh corners in our house. 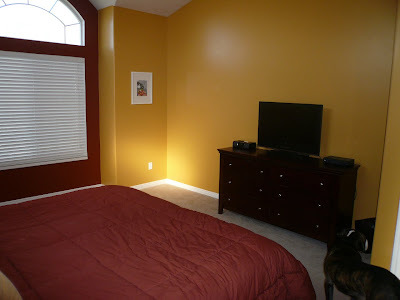 Other than that, most of the interior decorating ideas I get come from magazines and blogs. My latest blog obsession is younghouselove.com . I'll just warn you. Don't click over unless you want to devote a good amount of time devouring their tutorials, before and afters and my favorite MOOD BOARDS. They are to die for. So the mood boards that they post don't just happen, people request help for their design dilemas. They're ever so popular. They typically sell out minutes after they post new ones every week. A couple months ago I was one of the lucky ones to snag a board. You can see my custom mood board here. I think I'm done rambling now...I'll just let the pictures speak the rest. That is a really dramatic difference Allyson. That is so cool that they answered your question on that blog. I like most of the stuff they picked for you. I have to say that I like the before too. Very dramatic. But I can see why you would want it changed. The new style is more versitle. Oh my gosh Al! I absolutely LOVE the change! I loved the original but holy shmolly I am loving the new decor! Ally, it looks beautiful! 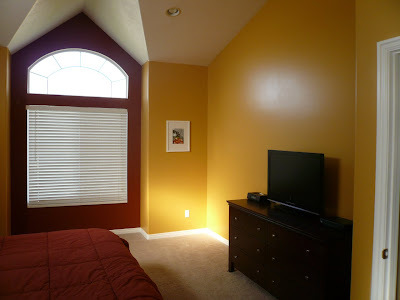 When I finally get a house I can paint you can help me do mine. oh man i really enjoy younghouselove's style, before and afters and mood boards.